See scan - perfect condition. This is a true antique Turkish or Bulgarian very old snuff box with an elephant on top of lid and some other ornaments on the side of the case. Measures approximately 55 x 40 mm. Scarce collector piece. 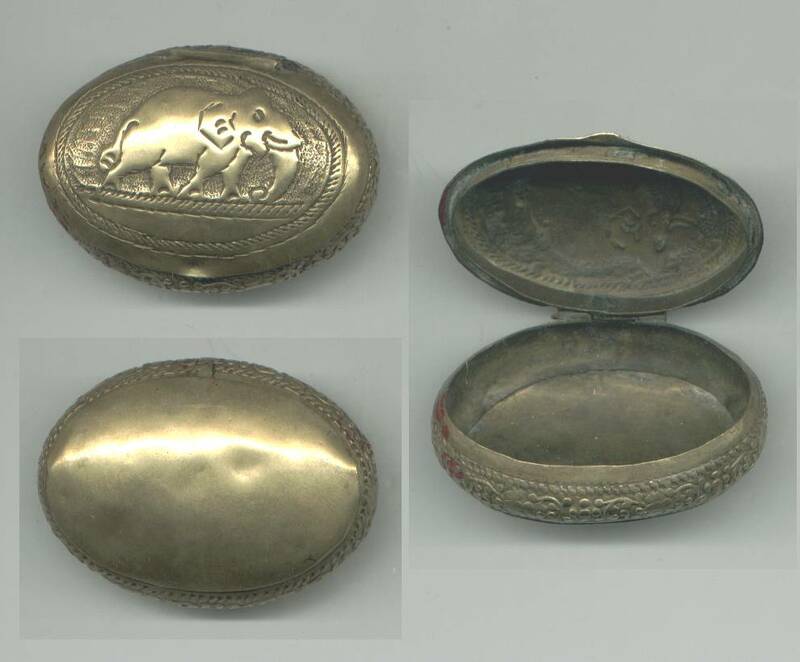 19C Antique German SILVER Royalty snuff box !